What could be more prog rock than a concept album? 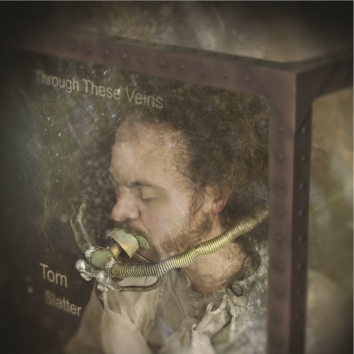 ‘Two concept EPs and a concept album,’ is Tom Slatter’s answer. In his continuing effort to jump on the prog rock bandwagon, Tom has made the commercially savvy decision to dedicate the next twelve months to composing and recording two EPs and one album about the same story, including a twenty minute epic to crown the whole project off sometime in the Autumn. The first step in this cynical, conceptual sell out is Through These Veins, an EP that tells the story of a rogue surgeon who starts turning her patients into macabre living sculptures. ‘My songs are usually driven by narrative, and this is no exception. In particular I was thinking about albums like Outside by David Bowie, or Operation Mindcrime by Queensryche. Tom Explains: Just the 4 tracks, no frills. You’ve got to do pay what you want these days, ever since Radiohead. I hate Radiohead. Tom explains: This is the one I actually want people to get. You get the four tracks, plus extra artwork and a 2000 word short story that fits in with the EP. Tom explains: You get a CD with this too, plus all the download stuff. This is the best one, obviously, cos it has the higher profit margin. Through These Veins is now available for pre-order. The title track can be heard right now and you get the digital version on 21st Jan. The physical version will ship soon after that and there will be a pay-what-you-want version by then as well. But that version won’t have the extra artwork or the short story that this one does. You should get this one.